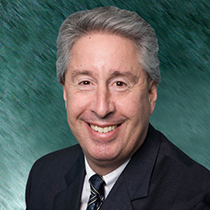 Arnie Fielkow is the new CEO of the Jewish Federation of Greater New Orleans. Many New Orleanians remember Fielkow for his work as the executive vice president of the New Orleans Saints and later, as a high-profile member of the New Orleans City Council. In 2011, Fielkow left the city to become CEO of the National Basketball Retired Players Association. Seven years later, Fielkow has returned to New Orleans. In his new role, Fielkow will work closely with the Federation’s Board of Trustees and other organizational and community leaders. The Jewish Federation of Greater New Orleans has served the city since 1913. It played a leading role revitalizing New Orleans post-Katrina and continues its outreach today by supporting Jewish affiliates and collaborating in non-Jewish community partnerships to strengthen the New Orleans community at large. In this podcast, Fielkow describes how the Federation is not only working with Jewish organizations, but is also addressing social injustice among all groups of people. For additional information, visit jewishnola.com.